One of the bigger black holes in my experience of Scotland is Perth. The ancient capital is a place I have skirted many times on the way to the surrounding countryside, but I have never actually stopped in the city itself to have a look around. Given its place in history and central location in the country this seems an astonishing oversight, so in Perth on business I decided to rectify it. What would Perth have to offer? To my surprise, douce Perth - a place I associate with pursed-lipped, cardie-clad matrons and farmers in flat caps and wellies - offered a big traffic-stopping parade, complete with music, flags and colourful costumes! A foreign tourist visiting Perth would view this unexpected spectacle with delight, and no doubt the organisers of the parade would encourage this view, arguing that it gives working class Protestants a common cause to bond around, giving their youngsters pride in their community's history, and teaching them music and marching. Anyone who knows their history knows there is a bit more to it than that: this was an Orange parade, the mood triumphalist and exclusive rather than festive, the marchers acommpanied by neddy hangers-on in Rangers shirts carrying Union Flags with the date 1690, commemorating the Battle of the Boyne. Looking for comments for a newspaper article about wilderness, journalist Clive Dunning was put my way by outdoors author Mike Cawthorne (thanks Mike) who it appears must have heard of my book. He might even have bought it! Clive wanted a picture: could I meet up with his photographer friend Andy Duke? 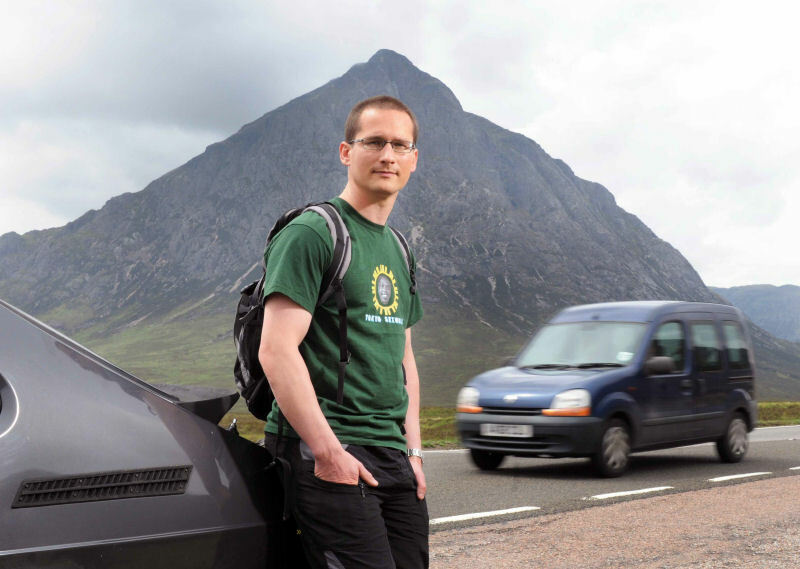 Andy wanted to meet in Glencoe, so off I popped, wondering what to ask for in return. And then it hit me. 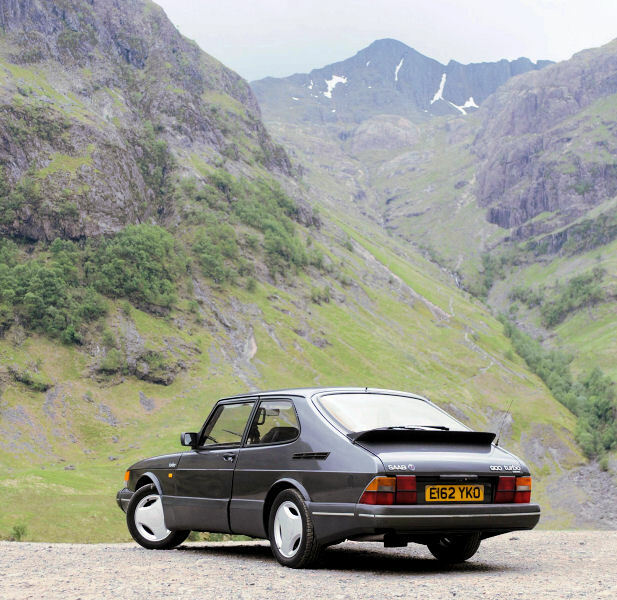 I was selling my beloved Saab 900 - what better memento than to have it snapped by a professional photographer? 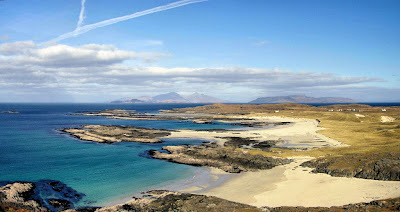 Many years ago I walked from Ardnamurchan Point to Cape Wrath. I called it the 'Northwest Highland Way', but there were few paths on the ground. Coincidentally, soon afterwards a book appeared called the Cape Wrath Trail. Another book appeared soon after that, North to the Cape. My route was quite different to both of these routes, the main difference being that they both started in Fort William and I started at Ardnamurchan Point. Aesthetically, there is no comparison between the white-gold sands and bright sea spray of Ardnamurchan and the peeling concrete of gloomy Fort William. Is is just coincidence that the westernmost point in Scotland is next to a beach called Sanna Bay, and the westernmost point in England is next to a beach called Sennen Bay? I can see why Fort William is a logical start point. It has accomodation, shops, good transport links, and lets you link up with the West Highland Way, which starts/ends in Fort William. 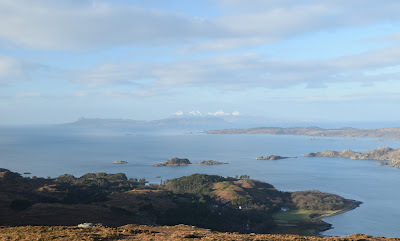 It took me a day just to get to Ardnamurchan, a place where the only thing to do is walk back. But the effort was worth it: there is far more appeal in walking from the westernmost point on the mainland to the northwesternmost, and despite all the mountainous scenery I walked through, Ardnamurchan remained one of the highlights, with its sense of space, beautiful beaches, and jaw-dropping aspect of the Sma' Isles. My route took me in a fairly direct line towards Cape Wrath: up the side of Loch Shiel to Glenfinnan, over to Kinbreck, Kintail via Glen Quoich, the Falls of Glomach, Achnashellach via Maol Bhuidhe, Loch Coulin and Kinlochewe, Shenaval, Ullapool, Elphin and Suileags near Lochinver (the most unpleasantly wet day and night of my life), Kylescu, Rhicoinich, Kinlochbervie and Cape Wrath. There was a bit of road tramping - having seen the other routes, I might take the coast path from Ullapool to Achiltibuie rather than head for Elphin, but otherwise the route was a good one, the surprise highlights to my Munro-centric life being Ardnamurchan, Cape Wrath itself, and the spacious backcountry east of Kintail. I stayed mainly in bothies and lived off dry oatmeal, cheese and tinned veg, the modest shop in Kinlochewe an oasis of goodies. Kervaig Bay, where I spent the final night with the rollers crashing in, a lone seal on the beach, and a crackling driftwood fire, is one of the most atmospheric places I've ever been.